Last year, Phillip Murray aka Philly, won triple j’s Unearthed NIMA Competition that saw him perform with Briggs, Jimblah & The Last Kinection. “I feel like I’m dreaming,” he said on the night. The following week his debut single ‘We On’ shot to No.5 on the iTunes Hip Hop charts and now; a year later – triple j has instantly added his new single ‘Dreamchaser’ to rotation. Philly, 23, was born in the golden era of Hip Hop in 1991. By the age of four his older brothers had a huge collection and all he ever listened to was Hip Hop. The first song he could remember was Naughty by Nature’s ‘Hip Hop Hooray’ – Philly’s destiny was set. The accolades flowed when Philly won the National Noel Tovey Achievement Award in 2010 and became Mildura’s NAIDOC Artist of the Year. 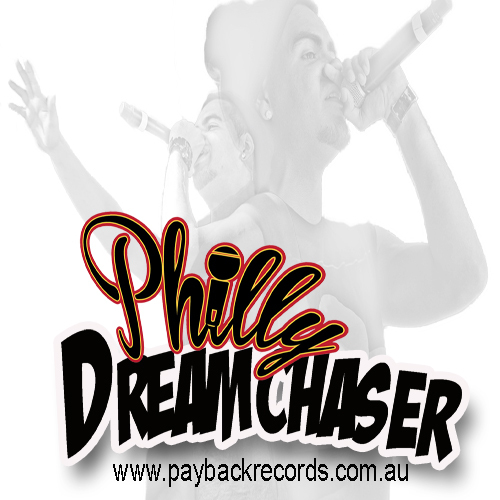 He dreamed bigger, signed with Payback Records & aims to perform in the US. The new single, Dreamchaser starts with a beautiful piano intro that leads into a strong drum roll & some soulful music that sounds like a 1970’s sample. Then we are introduced to Philly voice as he emotionally (introspect-fully) tells about his early childhood desires & dreams of success. Expect Philly’s LP album, Not My Life to drop later in the year.